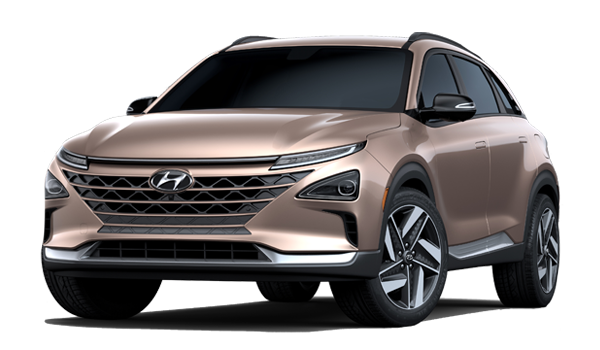 Hyundai is proud to introduce the brand new 2019 Hyundai Nexo - the world’s first dedicated hydrogen-powered SUV! The new Nexo’s battery runs on hydrogen and can reach a range of 380 miles on a single charge; that’s the highest of any fuel-cell or electric vehicle currently on the market. And the best part is that it only emits H20 emissions. So this SUV is actually helping the environment! 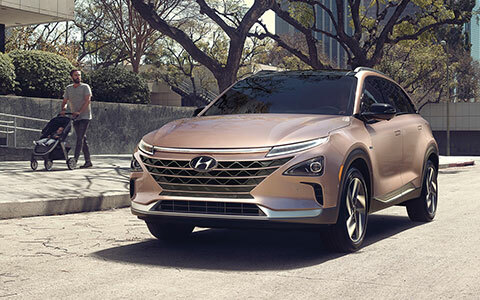 Premier Hyundai of Tracy is one of the few Hyundai dealerships in the California area that is able to sell the new Hyundai Nexo. So if you are interested in learning more about this new SUV, visit our dealership near Tracy and Livermore, CA today! The new 2019 Hyundai Nexo is currently only available in California, but there are plenty of hydrogen fuel locations around the state. The benefits of hydrogen might surprise you as it works the same as gas, but a five minute fill up can get you a range of up to 380 miles. The Nexo works with both hydrogen and air to power the electric battery of the Nexo, and it works as both a safe and reliable fuel source. 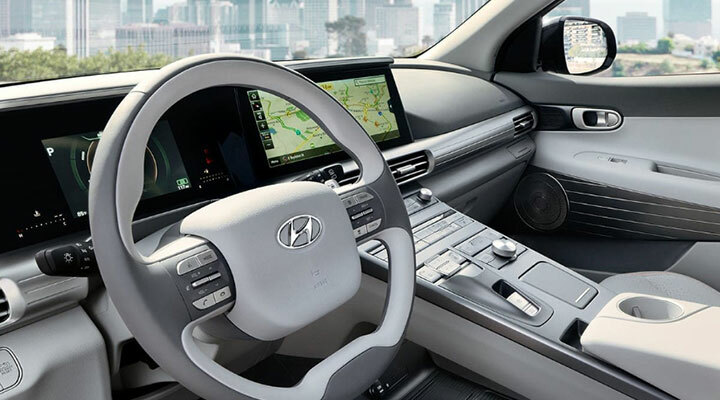 If you are interested in the technology of the new 2019 Hyundai Nexo, visit our Premier Hyundai of Tracy dealership today! The new 2019 Hyundai Nexo isn’t just another run of the mill fuel-cell SUV; it comes with an impressive style that lasts. The interior of the new Nexo has an integrated, seamless display and a dual-tier console. Not to mention the Krell premium audio speakers that line the cabin. And if you are looking to add a little natural light, the wide sunroof will be happy to help with that. Needless to say that the new Nexo is a comfortable ride no matter which way you look at it. 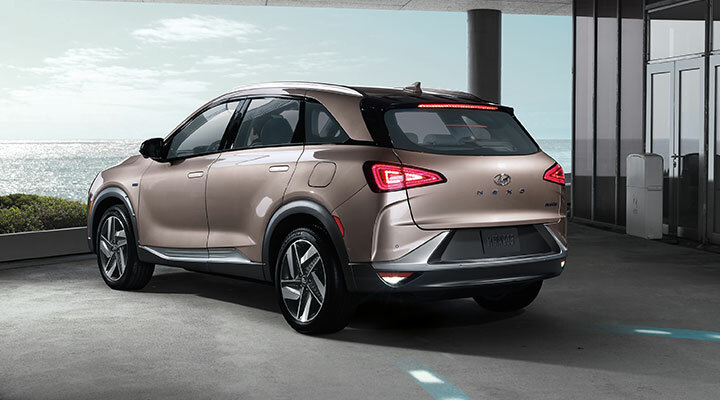 If you are looking to upgrade your current vehicle into the new 2019 Hyundai Nexo SUV, you can apply the value of your current sedan, truck or SUV to the price of the new Nexo. Just use our Premier Hyundai of Tracy online trade-in calculator to discover the value of your current ride and leave the rest to us. When you drive around California in the new 2019 Hyundai Nexo SUV, don’t be surprised at all the impressed looks you’ll get. The new 2019 Nexo is bound to attract attention with it’s integrated flush door handles, 19’’ allow wheels and LED lights. Plus, when you work with us at Premier Hyundai of Tracy, keep your new Nexo looking good and well maintained at our onsite Vehicle Service Center. Our service team is highly trained to work with all Hyundai trucks, sedans or SUVs to keep them healthy and on the road longer. Visit with our service team today to learn more!